Acrylic paint, 12x16 in. with 1 in. border. 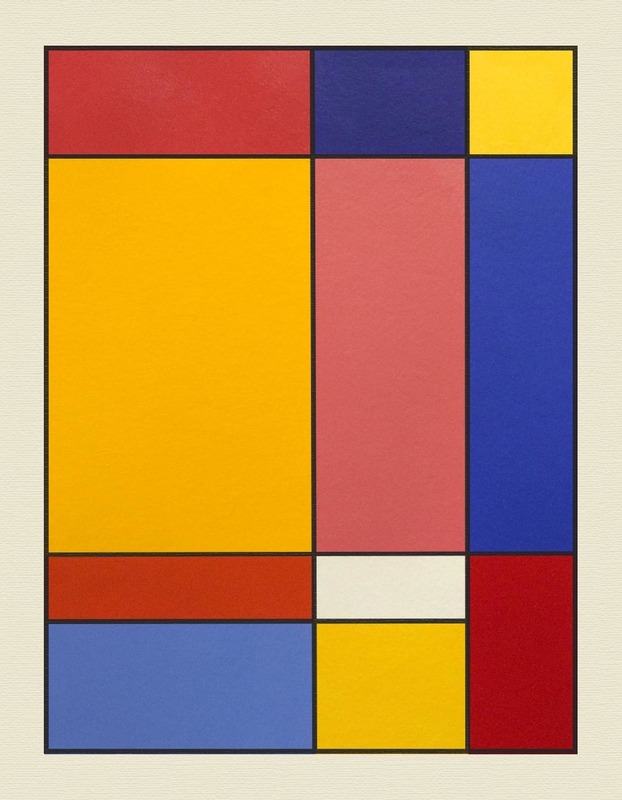 This project was inspired by Piet Mondrian, the famous painter who created works of primary-colored grids like this one. The purpose was to understand mixing similar values of different hues and placing them next to each other in an appealing manner, while mastering the techniques of painting opaquely and creating smooth edges with tape. We were asked to make 11 boxes by drawing two lines vertically and three lines horizontally and then erasing one piece of one line. Next, we filled the boxes with three values of each primary color, one secondary color, and one white. The challenge was to match each value with the same amount of lightness or darkness in the other two hues of the same value (for example, the lightest blue had to match the lightest yellow and the lightest red). Finally, we added a black border for visual appeal and presented them to the class. I’m very happy with how mine turned out!